The prominence formed by the anterior projection of the mandible, or lower jaw. (chin) the anterior prominence of the lower jaw; the mentum. The central forward portion of the lower jaw. the raised triangular portion of the mandible and the soft tissue over it below the lower lip. It is formed by the mental protuberance. The lower part of the face, the core structure of which is provided by the mandible. Community Health and Information Network. An electronic highway that provides seamless connectivity through an interface engine with routing and translation software to all the components of a healthcare delivery system—physicians, hospitals, ambulatory care centres, payers (banks, insurers, Medicare, employers), pharmacies, retail suppliers, regulatory agencies, etc. Prominence formed by anterior projection of the mandible, or lower jaw. n the raised triangular extension of the anterior portion of the mandible below the lower lip. It is formed by the mental protuberance of the mandible. the anterior prominence of the lower jaw; the mentum. 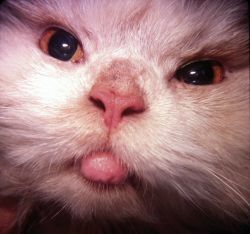 lower lip swelling or nodules; part of the feline eosinophilic granuloma complex.